^examples of sketchbook pages. I find these comforting, as opposed to some I have seen elsewhere, that were every inch of space crammed with drawings. The latter doesn’t make much sense to me, either as a way of working or as a way of recording your work to look back at. ^a minimalist approach to clothing. Multipurpose and adaptable garments. Anti-fast fashion. Cf this improvised vacuum to eg hairdryer made from materials rescued from a skip. At least the former has explanation/instruction which means it could be recreated and isn’t limited to the tiny scale of that particular artist’s creativity. To be clearer, just making stuff out of rubbish on an individual basis isn’t an accessible or sustainable model for recycling. Maybe it opens a dialogue, but other than that it’s a dead end. 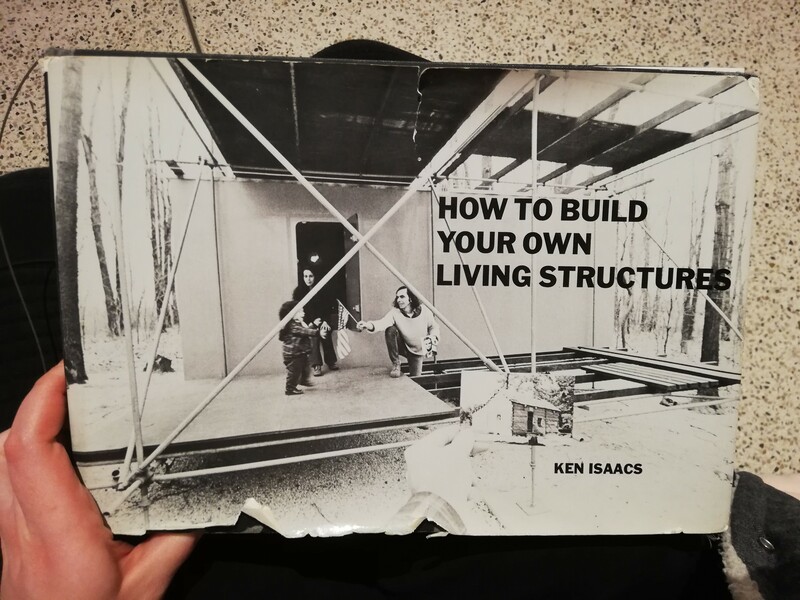 ‘Isaacs argued that the process of building is made to seem more complicated than it is. His manuals illustrated how to return to more simple construction methods.’ ACCESSIBILITY!!!! I need to get a copy of this. ^cf tiny houses. Extreme minimalism, of space. Do we really need space or have we just associated it so strongly with luxury and ease and comfort? Do those two scenarios have the same effects, are they essentially the same thing?